Earlier in the NBA season, there has been a lot of controversy about players wearing supreme shooting sleeves and supreme leggings. Players like Kelly Oubre Jr. and JR Smith, have worn Supreme apparel while playing on the court. Oubre has been known to sport a red leg sleeve, and JR with a black shooting sleeve. Since then, the NBA has strictly prohibited players from wearing Supreme gear. 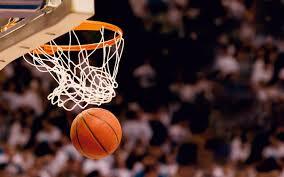 This new rule might not affect the way the game of Basketball is played, but it will affect the social and cultural aspects of the sport. Though the NBA has banned the Supreme sleeve, it is unfair to the players, and the culture. The argument against the sleeve is that it is against NBA rules to wear a brand or logo on any article of clothing except for shoes. Unlike Nascar Drivers, NBA players are not allowed to endorse any brand they are affiliated with on their jersey, shorts, headbands, or shooting sleeves. Shoe’s are the only exception since many players have their own signature shoe. It should have been common knowledge to Kelly that he can’t endorse brands during any game appearance. The counter argument to this, is that the sleeve had both the Supreme logo and the Nike logo. As stated by Kelly “It had an NBA logo on it. It has a Nike sign on it. NBA is sponsored by Nike. It’s just Supreme, you know.” If it is sponsored by the NBA, it is understandable that Oubre would believe that he could use it in game. A good example of this is the famous Headband controversy in the There is a clear misunderstanding in the design and execution of the Supreme sleeve. Somebody in the Supreme organization, the Nike organization, or the NBA, cleary did not communicate when creating the sleeve. Therefore Oubre should not take the blame for wearing the Supreme shooting sleeve. Most players seem to support Oubre. Even turner of the Portland Trailblazers said “I thought it was dope! I thought it was hella dope man. That was ill, to tell you the truth. Right now the collabs that Supreme is doing, I just think it’s dope, whether they do it with North Face or Everlast or something.” It seems that most players don’t have a problem with the Supreme Shooting sleeve. So why should the NBA be concerned about it? If it doesn’t bother anybody in the game or affect the way that the game is played, then why is there a problem? It is also Common knowledge that the NBA has been known to create odd uniform rules. In the mid to late 90’s the NBA entered the era of baggy shorts. This was mostly made famous by players like Scottie Pippin, and Allen Iverson. However, in 1997, the NBA banned baggy shorts from the NBA. Players were not allowed to wear pants that went 1 inch below the knee. The NBA has a history of not liking trending fashion styles and uniform “swag”. The NBA wants to maintain a clean-cut look. Hence the controversial fashion icon, Allen Iverson. Iverson is known to have brought “swag” to the NBA, but was frequently met with disputes between him and the league. I believe that nobody should wear anything that is not specifically identified as appropriate NBA dress in the NBA uniform rules. However, I believe that Oubre and JR are not at fault for wearing Supreme gear. The Sleeve had the NBA logo on it so it is understandable for them to believe that they can wear it. I don’t believe that the Supreme shooting sleeve should be allowed in the NBA or any professional sports league. Supreme Sleeves by Keaton is licensed under a Creative Commons Attribution-ShareAlike 4.0 International License. Thank you for post your thoughts on the apparel of NBA clothing and how it can have a affect on the social aspect of the game. A simple sleeve started so much controversy in the NBA. Do you think that is over doing the situation? Personally, I agree with Evan Turner thinking it was cool and very interesting to see that. With the Nike and NBA logo present on the sleeve. I thought that it should be allowed, but it is not. Everything in today is money making and the Supreme logo is not affiliated with the NBA. The NBA doesn’t want anything advertised that they are not affiliated with. The Supreme sleeve is used as a fashion statement showing off there sense of fashion but do to the rules they are not allowed to use it in an actually game. Do you think supreme will ever make it present in the NBA as a logo? Castillo, Jorge. “The Big Shorts: An Era in Basketball Fashion Is Coming to an End.” The Washington Post, WP Company, 21 Jan. 2016, www.washingtonpost.com/sports/wizards/the-big-shorts-an-era-in-basketball-fashion-is-coming-to-an-end/2016/01/21/70d97d12-bf84-11e5-9443-7074c3645405_story.html?utm_term=.95df1e925791 Diven, Keely, and Chase Hughes. “After Being Forced to Change, Kelly Oubre Suspects NBA Can't Handle 'Too Wavy' Supreme Sleeve.” NBC Sports Washington, 12 Dec. 2017, www.nbcsports.com/washington/wizards/after-being-forced-change-kelly-oubre-suspects-nba-cant-handle-too-wavy-supreme-sleeve. “NBA Uniform Rules.” Healthfully, healthfully.com/nba-uniform-rules-5082810.html. Woolf, Jake. “Supreme's New Shooting Sleeve Is Too Wavy for the NBA.” GQ, GQ, 13 Dec. 2017, www.gq.com/story/supreme-kelly-oubre-shooting-sleeve-nba.